Having a healthy smile is important. 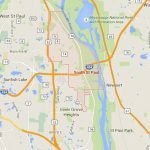 River Heights Dental is the dentist South St. Paul residents can trust and depend upon. River Heights Dental provides a comfortable environment because we understand that going to a dentist can be frightening and uncomfortable. We offer emergency dental services for our patients because our staff understands that when you are suffering with a toothache you need immediate dental care (no matter what time it is). The River Heights Dental is a family-friendly environment that caters to the dental needs of South St. Paul, Minnesota. We look forward to providing all residents and their family members with highly trained and experienced dental services in South St. Paul. River Heights Dental specializes in a variety of dental services. Our cosmetic dentistry can restore any crooked teeth, broken, chipped, or missing teeth, and discolored and stained teeth. The River Heights Dental can boost your smile, confidence, and appearance with our cosmetic dentistry. We have many treatment options and procedures for you. So uth St. Paul, Minnesota is a beautiful city that is located south of St. Paul. The city has a population of 20,160. South St. Paul has several annual events that attracts thousands of visitors each year. The Kaposi Days event is held in downtown South St. Paul. The Grande Parade kicks off the event Friday Night, then fireworks immediately follows. The event is held on June 26th and runs through June 28th. If you love finding unique items, then you will want to attend the South St. Paul All City Garage Sale. The South St. Paul All City Garage Sale is held on June 25th-June 27th, the last weekend of June each year. The whole city is involved, and the city is providing a list of each garage sale and location. This is an excellent time to visit South St. Paul, and have a one-on-one interaction with all the residents. South St. Paul is a wonderful place to find an adventure and have a great time. The residents of South St. Paul, Minnesota who need cosmetic dental work or any dental work done should contact the professional’s dentists at River Heights Dental. River Heights Dental provides a comfortable atmosphere, and the staff is led by Dr. Ben Christopherson, DDS. He has many years of dental experience to assist patients in reaching their dental goals. If you are unhappy with your smile, then contact the River Heights Dental office today. We are dedicated to providing you the cosmetic dental services that you need to get that smile you always wanted and build your self-confidence. Contact River Heights Dental today so we can schedule you with a cosmetic dental consultation.